100% FSC certified toilet tissue from the Cheeky Panda, made with sustainable bamboo which is anti-fungal, anti-bacterial and hypo-allergenic. 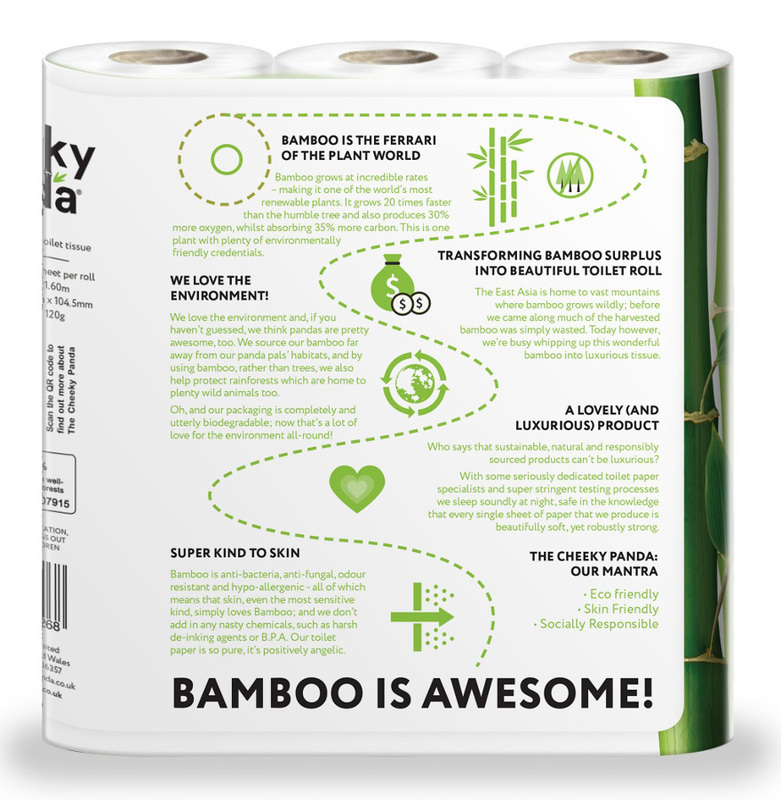 It is a healthier and more eco-friendly choice of toilet paper, and it is made from waste bamboo which gives farmers an extra income whilst providing jobs for local people. 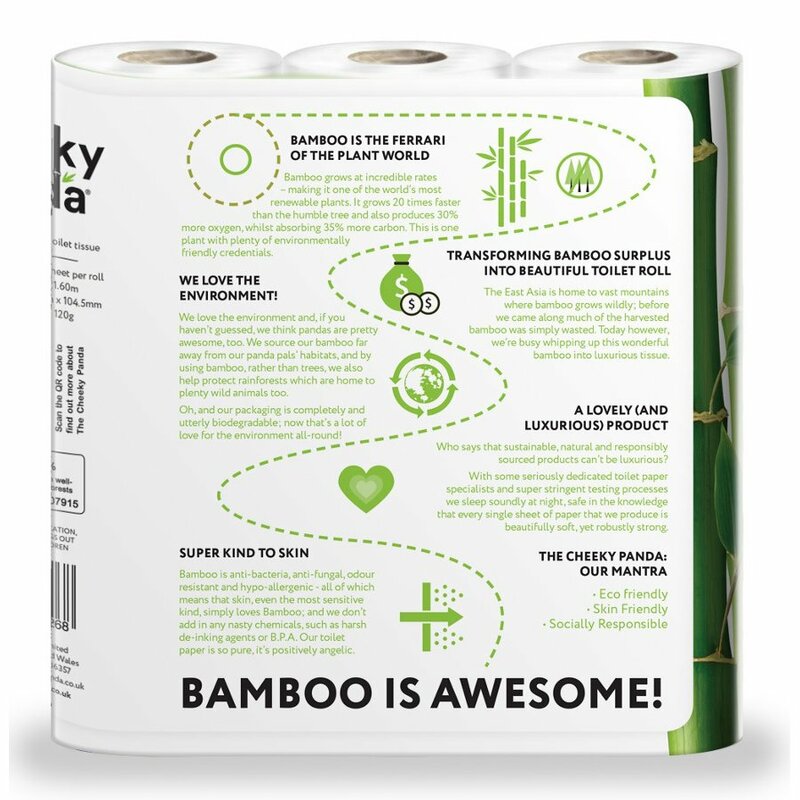 9 rolls of 3 ply tissue with recyclable packaging. 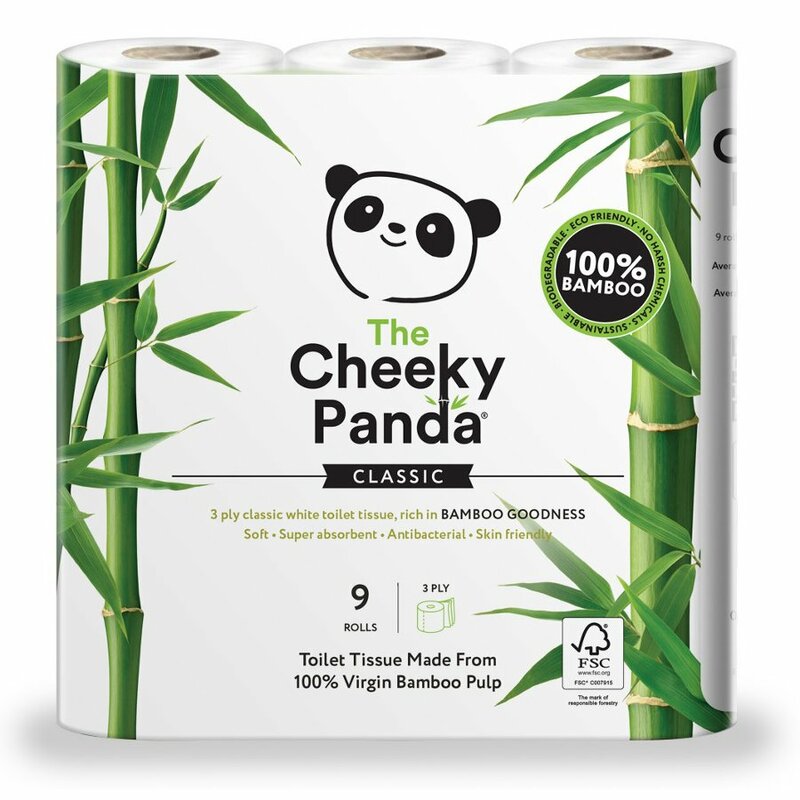 There are currently no questions to display about The Cheeky Panda FSC Bamboo Toilet Tissue - 9 Rolls.